Mission: Get Dolphins out of the marketplace. 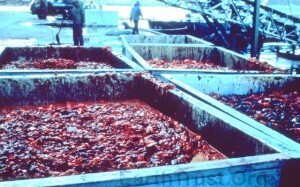 ET’s research uncovered a lose-lose situation: people eating mislabeled dolphin meat were being swindled and poisoned. In fixing that, we changed the science of mind. 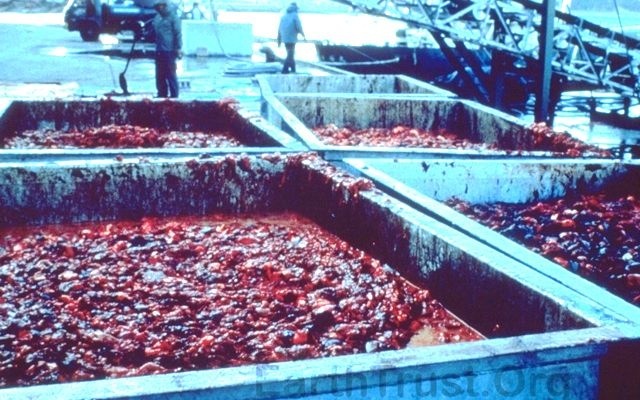 the two largest sources of dolphin kill on the planet, by doing away with the huge destructive driftnet fleets that had scoured the largest oceans, and by bringing “dolphin friendly” tuna into reality internationally. In addition, ET’s field DNA revolution proved that a huge market for dolphin meat existed in Japan, mis-labeled as ‘whale meat’. It became clear that many continued killings, from drive-kills of dolphins to mislabeled dolphin meat in bento lunches, could not be dealt with while dolphins were treated as “fish” or “parasites” within Japan. 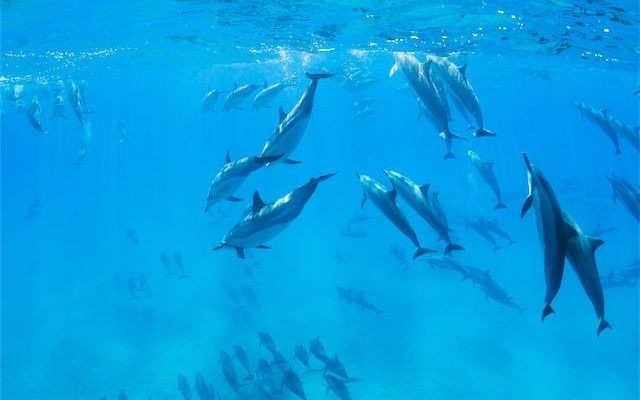 The existence of a readily available “smugglers’ market” for dead dolphins – in which each dolphin could be worth several thousand dollars – meant that market forces would tend to supply the demand. 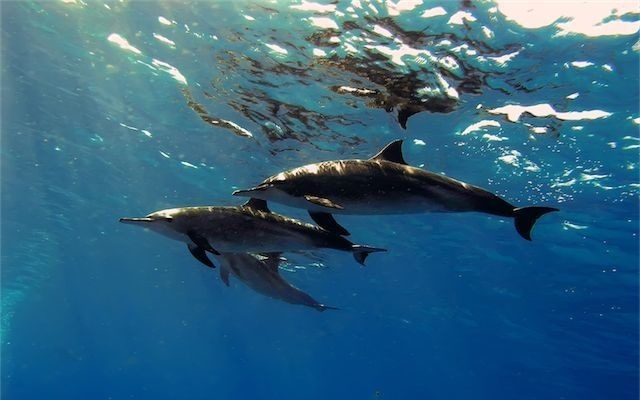 Part of the answer was to continue DNA studies, and to support toxin analysis of mislabeled dolphin meat, and part had to be changing the very way dolphins were seen in Japan. EarthTrust had long done cultural outreach within Japan, beginning in the late 70’s. 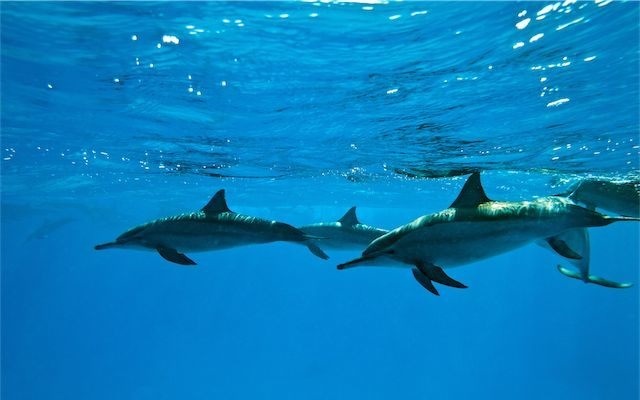 It worked to expose the effects of mercury contamination of villagers who ate a lot of dolphin meat: hair samples showed that they suffered Minimata disease (mercury poisoning) due to the high bioaccumulation of heavy metals in the dolphin meat they had eaten. However, ET board member Dexter Cate felt his heart torn out when he repeatedly witnessed drive kills of dolphins. As a marine biologist and high school science teacher, Dexter had known dolphins personally as complex beings and friends. Dexter and his young son at Tatsunoshima Island view living dolphins intentionally driven onto the beach, the day before he untied nets and helped release drive-kill dolphins and whales. 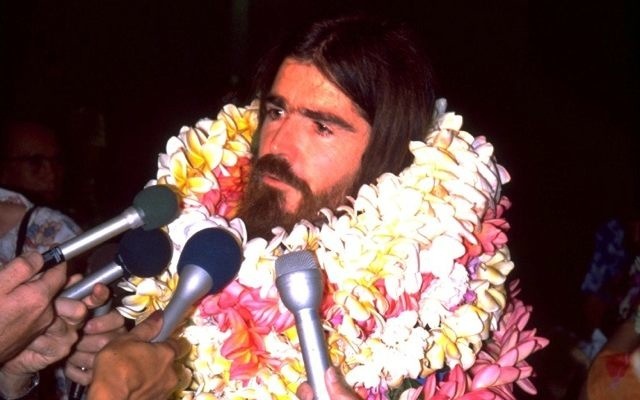 So in 1980, he took an inflatable kayak and paddled to the ongoing kill at Tatsunoshima Island, where in the freezing cold he untied the nets and helped many dolphins to safety. For doing so he was arrested and held in prison for 80 days before deportation. It focused world attention, but it solved little inside Japan, where individual protest is frowned upon. This was the end product for the Tatsunoshima dolphins Dextrose didn’t save. They were basically fed into a giant grinder to make slurry that was dumped on fields as a toxin-heavy fertilizer. So Dex joined with Don White, ET President and co-founder, to create a project designed to change Japan’s view of dolphins, and that of other cultures too. 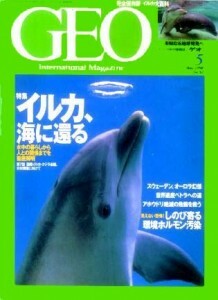 The project would ultimately have young Japanese students seeing dolphins use computers, and being inspired by the dolphin mind. Don had met in 1979 with Dr. John C. Lilly, the “altered states” scientist who first looked into dolphin intelligence, and decided to take Dr. Lilly’s work further in less “altered states” ways. The goal was ambitious: to change the way the human world perceived dolphins, so that their killing would become culturally unacceptable. 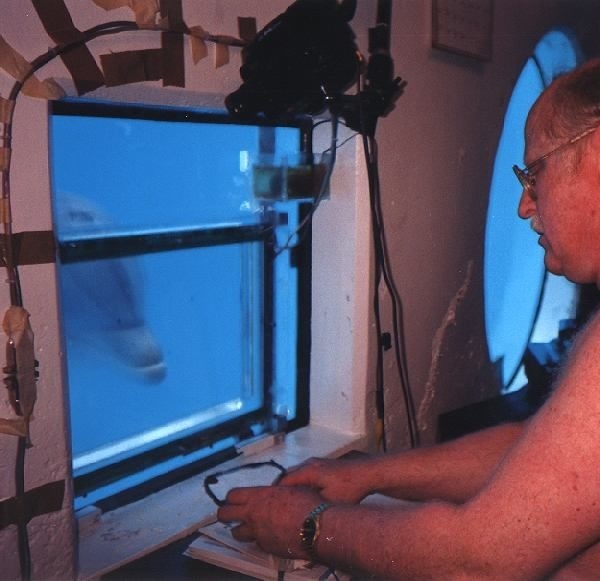 A dolphin at the Delphis lab controls a computer with voice commands and the world’s first underwater dolphin touch-screen interface. There was no training or reward done: the dolphins used computers for the same reasons human kids do – fun. Thus began a project unlike any others. 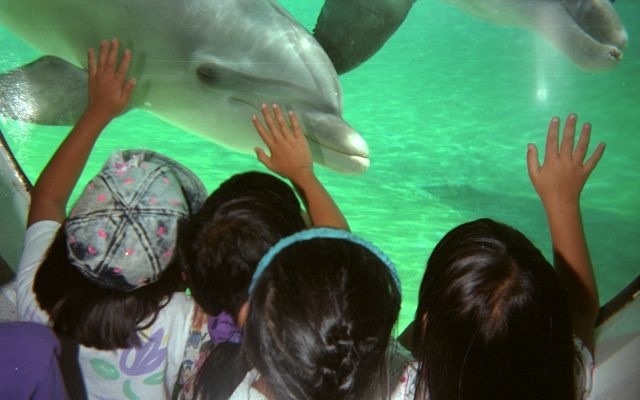 The work would center on improving the lives of dolphins already in captivity. 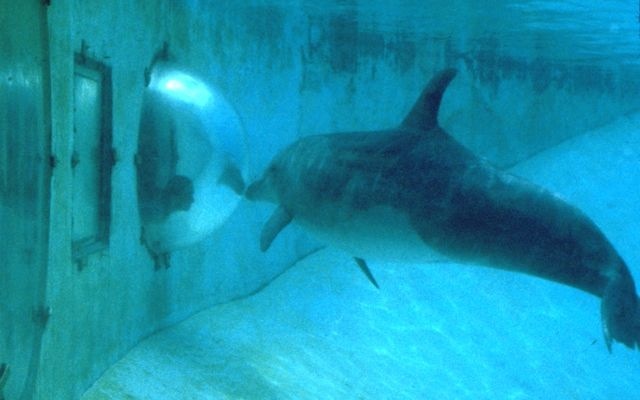 No training or food reward would be done: the dolphins would have full control of the research and determine what they wanted to participate in. 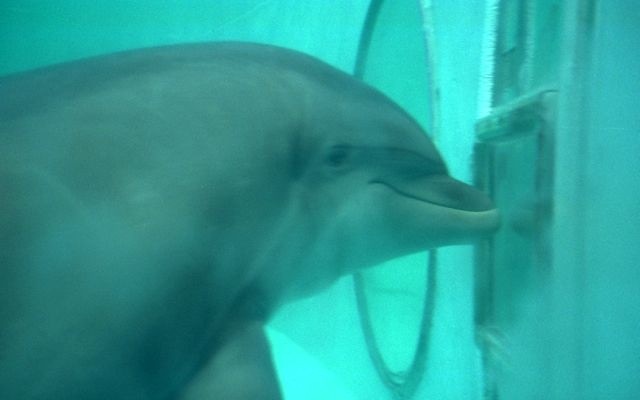 By interacting with mirrors, TV, and computers they could gain control over aspects of their environment; and by so doing open a window to the dolphin mind. Designed by Don White, the work would be conducted under respected ethologist and cetacean researcher Dr. Ken Marten, a student and friend of Dr. Ken Norris, and work would be peer-reviewed. 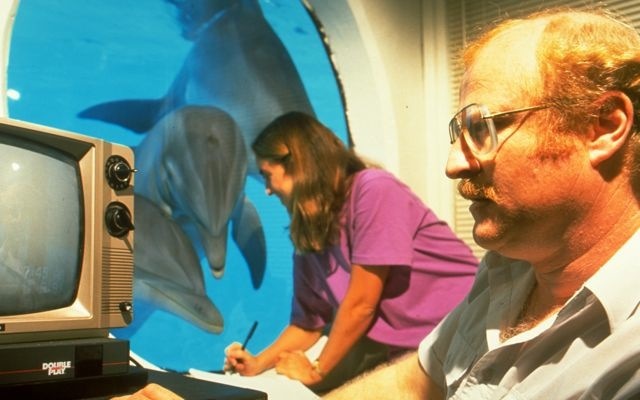 ET’s Dr. Ken Marten calibrates the dolphins’ computer touchscreen interface while dolphin Paleahu watches. Dex died in a diving accident in 1990, so the project was dedicated to his memory and continued. One early result of the Delphis project was to revolutionize the status of conscious self-awareness in the universe. 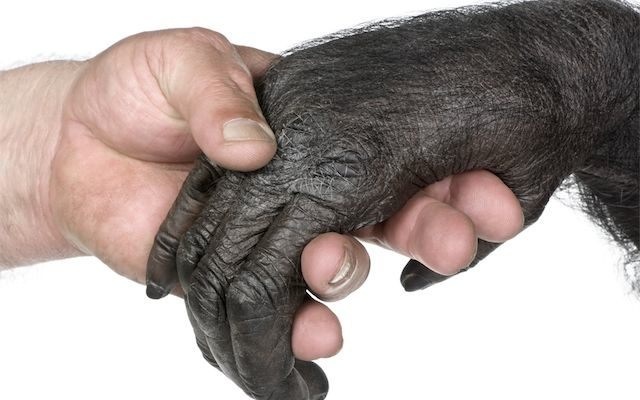 Prior to Delphis, it was believed that conscious self-awareness had only evolved once – perhaps in the entire universe – and that the only self-aware beings were members of the Great Ape tribe: humans and their close relatives. 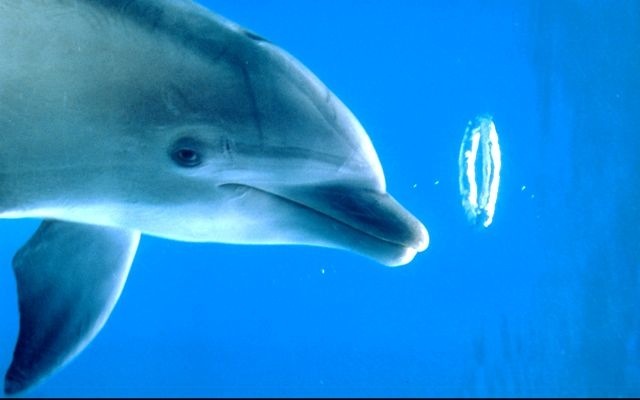 ET showed, with a clever experiment, that dolphins also passed the test. This finding changed all the textbooks, changed the way we humans thought about ourselves and about the evolution of intelligence in the universe. A profound, Copernican-level paradigm change, it opened the door to studies on many other species. The Delphis lab profoundly changed the way humans view intelligence. Prior to this experiment, it was believed that self-awareness might have evolved only once in the universe, in the great apes. Finding self-awareness in a species which was evolutionarily separated from humans by 70 million years changed all the textbooks. It showed that we weren’t alone. 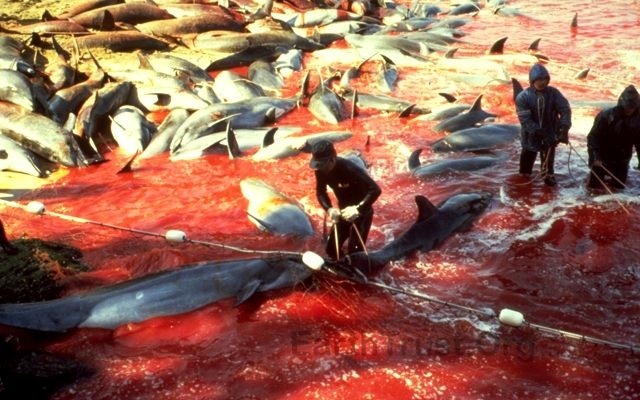 And it helped inside Japan and other dolphin-killing nations, because Delphis was not just a one-of-a-kind lab. 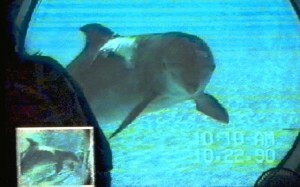 It was designed from its outset to be a “documentary factory” to promote good science and highlight dolphin abilities. Thus, about half the time at the lab was spent on setting up and running experiments, and the other half was welcoming independent film crews to educate the world about dolphins and the issues affecting them. It was an ironclad requirement that any media wanting to film the delphis research had to also cover dolphin kills, and this led to dozens of major documentaries and many hundreds of national and international media stories. 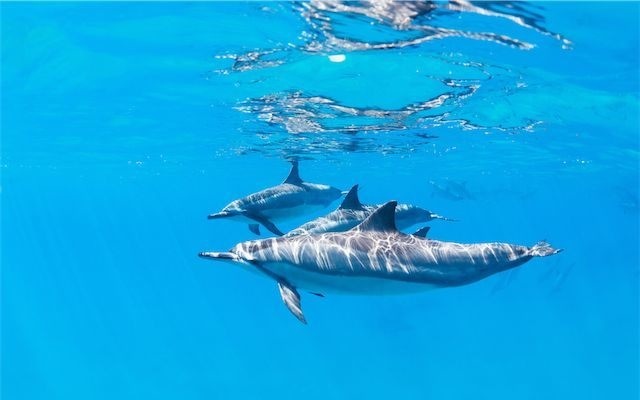 The lab also documented and popularized dolphin creativity, such as sculpture of air-core vortex rings; doing the definitive science and writing it up for Scientific American and a host of Japanese media sources. As young people in Japan saw dolphins spontaneously playing video games, using touch-screen computers, dancing to music they controlled themselves, and talking with one another over the phone, it became very clear that these weren’t fish, they were a different kind of person. A growing percentage of Japan’s population has refused to eat dolphin meat. In addition, Delphis images have helped in shutting down drive-kills in other locations. It’s one thing to see what looks like a big fish throwing a ball. It’s quite another to see one using a computer the way a human does. Delphis has changed the way humans see dolphins and the way we see ourselves, the way we humans think about mind in general. It definitely helped save dolphins in Japan and elsewhere. It didn’t end the killing of dolphins. Making deep cultural changes can take awhile. 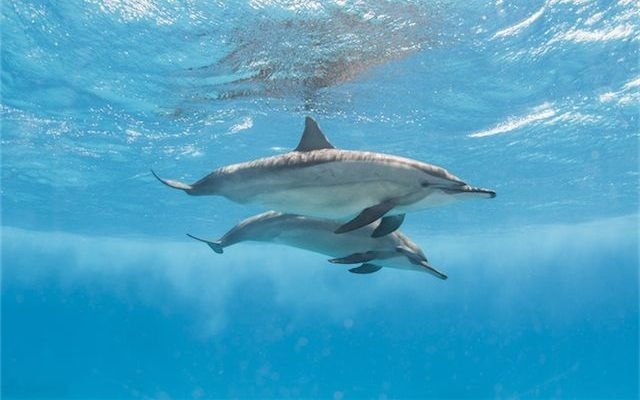 It has greatly lowered the demand, and has helped create a generation of people who see dolphins as people. And it fundamentally changed the human understanding of intelligence, the evolution of awareness, and the way we have to see other species. It was nothing less than a Copernican reframing: humans are not the only self-aware minds which have evolved on earth. Once we showed that, many barriers started coming down, and entire new fields of study were created. It may not be the impossible mission with the fastest results, but it may well be the most profound. Such a discovery could be made only once in human history. It was made by ET, because the mission seemed possible to us. We started the project hoping to save dolphins. We ended up also changing what humans understand about intelligence in the universe. There are moments that revolutionize science. The realization that continents drift. The discovery of DNA as the basis for inheritance. 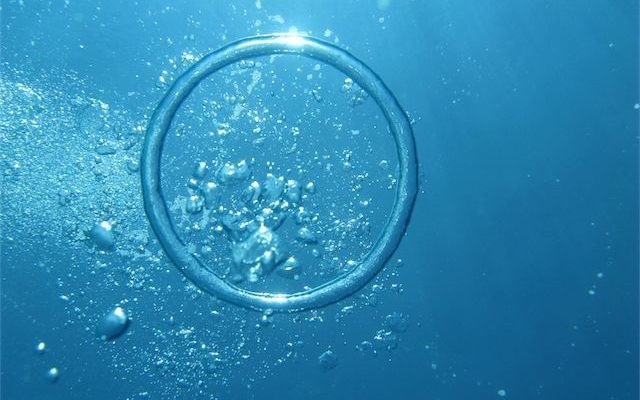 The germ theory of disease. And we added another one: a scientific demonstration that advanced, self-aware intelligence has evolved more than once in the universe. It may be hard to realize now that before ET’s work at the Delphis lab, it was scientific orthodoxy that self-awareness – as defined by the Gordon Gallup mirror-interaction test – had evolved only once that science knew of. In the great apes, the clan which includes humans. Since the Delphis breakthrough research demonstrated otherwise, the field of comparative cognition has spread to other species. And that was only one of the firsts. The lab broke a lot of new ground in showing the reality of dolphins, and the reality of what we’re losing by wiping them out. It was never just academic research: the work was motivated and dictated by what the dolphins most needed to survive. 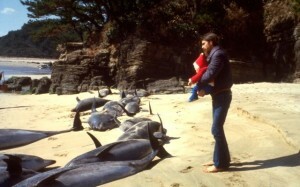 Dr. Marten, who had witnessed a dolphin holocaust in his earlier career as a tuna-industry observer for the US government, injected that into every interview of many hundreds the lab generated. We got to spend time with a lot of fun people who visited the project. John Lilly himself was a frequent visitor who endorsed it as the way beyond his own work. Ken Norris also visited, and considered the project very important. (And really, if you’ve got both Ken Norris and John Lilly, you’ve pretty much bracketed the distance from establishment science to speculative science.) 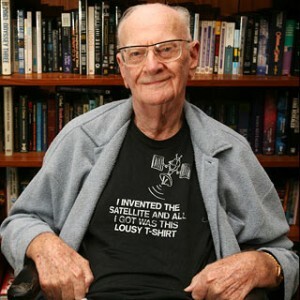 The project was significant funded by futurist author and friend Arthur C. Clarke, the then-head of ET’s advisory board. 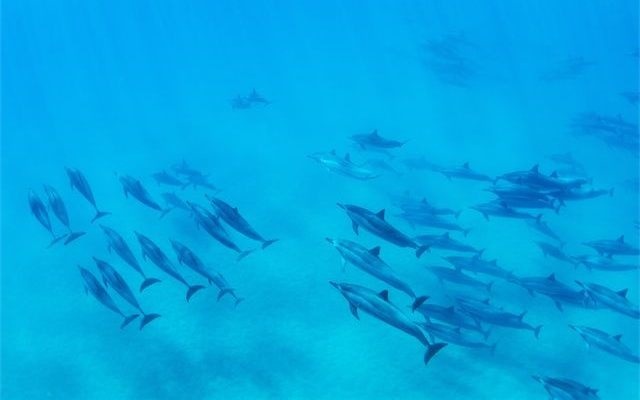 Computer industry heavyweights, astronauts, musicians, politicians and celebrities helped spread the word about dolphins as intelligent, self-aware beings. No, this wasn’t a standard environmental intervention strategy. This was more about changing the culture, and changing the way humans think. What kind of donor supports a project like this one? Well, you don’t have to be a rocket scientist to support ET (although a lot of NASA people have). But in this case, it was the guy who invented communications satellites. Sir Arthur C. Clarke was drawn to ET by its track record and “big thinking”, and became director of the groups international advisory board until his death. He was a big supporter of the Delphis project, with financial support as well as organizing help. We miss him, and we think it says something about ET that people like him and many others have chosen to align with us. Arthur saw the ET work as very much in keeping with his futurist and Scifi beliefs. “Fishermen sometimes amuse themselves by spearing mantas and letting the terrified beasts tow their boats – often for miles – before they are exhausted. Why quite decent men will perpetrate on sea creatures atrocities which they would instantly condemn if inflicted upon land animals (has anyone ever harpooned a horse to make it tow his car?) is a question not hard to answer. Fish live in an alien element, and many of them have outlandish shapes; therefore we feel none of the sympathy , none of the kinship, for them which often links us to the creatures of the land. Few of us ever overcome the reaction that classes anything strange as automatically dangerous.